Tired of your dead energy salon? Looking for a more exciting environment? Want a salon family that helps you not break you? 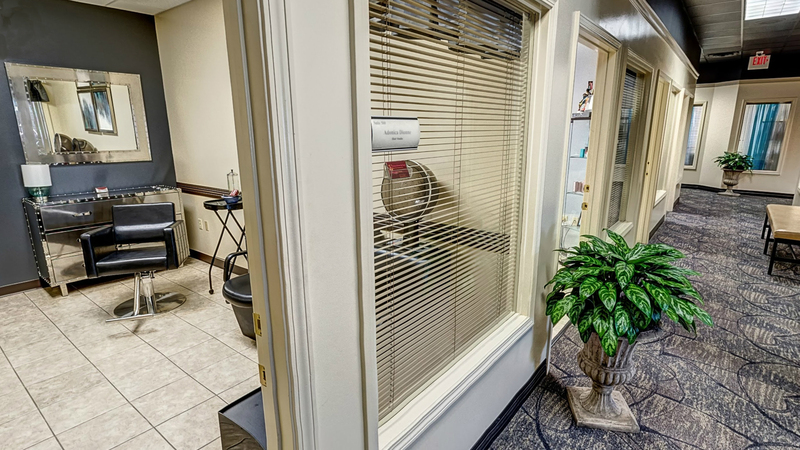 We would love for you to come see and take a tour of our beautiful salon. Drop by anytime 10:30 am - 5 pm Tuesday thru Friday or 8:30 am - 3 pm Saturday and the owner will be happy to visit with you and show you around. 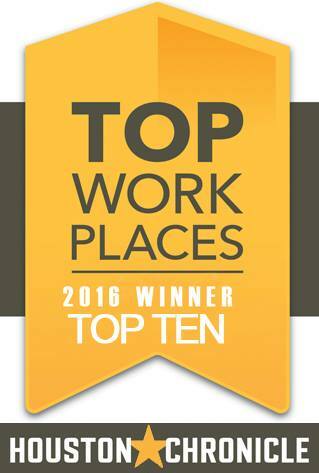 You may also call with any questions you may have, 713-283-9302. Why should I lease a suite of my own? What’s wrong with the other options out there for beauty professionals? Working in someone else’s salon or chain salons often means high commissions are taken and strenuous unpaid hours are expected. Some salon commissions are as much as a 70/30 split with only 30% being given to the salon professional that actually performs the service. Because the salon owners are the ones promoting the salon and bringing in the clients, they feel that those clients are theirs and not yours which greatly limits your ability to grow professionally. 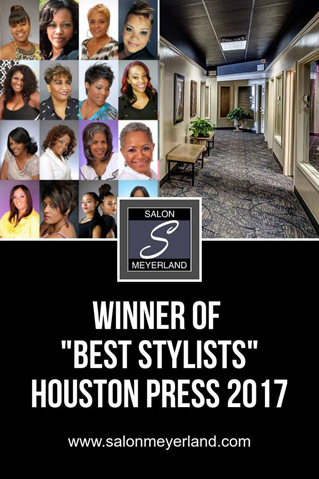 Salon professionals quickly learn that to expand their client base and increase their income they have to be independent. Some salon owners realize in order to keep a full salon they have to do away with commissions and start renting out chairs/booths in their open salons. The downfall of the open salon is that you have no control over your environment. The music, the decor, the cleanliness and even the conversation in the chair next to you is not always to you or your client’s liking. As much as a client may love you, they may not refer their friends or family because the environment is not to their liking. The environment is controlled by the salon owner. Also, one large unexpected expense could shut a small salon down causing the stylists to scramble and have to quickly find another place to work. Owning your own small salon comes with risks. It only takes one major expense such as an air conditioning unit going out, a roof leak, or plumbing problem to eat up your profits for an entire month or even year. Many times major expenses like this cause a salon to shut down. The beauty professionals that are working in your salon have to pack up and move unexpectedly, leaving you with a lease you can't afford to pay. Rent increases and even losing leases due to landlords not renewing is also a concern that most salon owners do not think about. 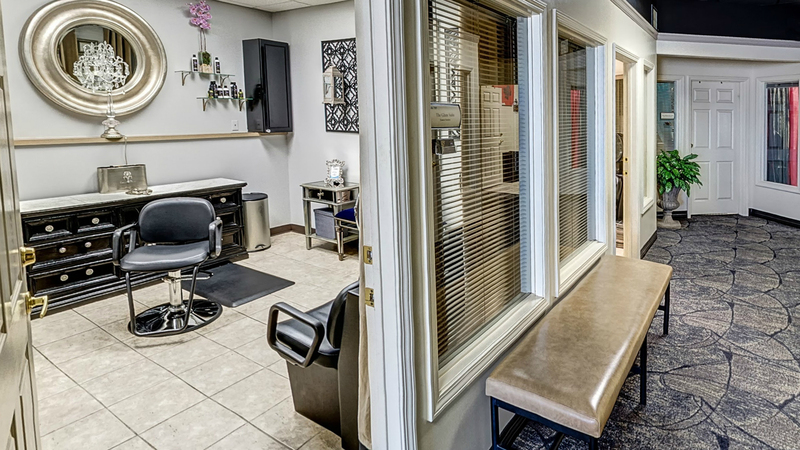 You will find many former salon owners have found owning your own salon is not always what it is cracked up to be, which is why suite leasing is so popular. Suite leasing is the new standard for beauty professionals. 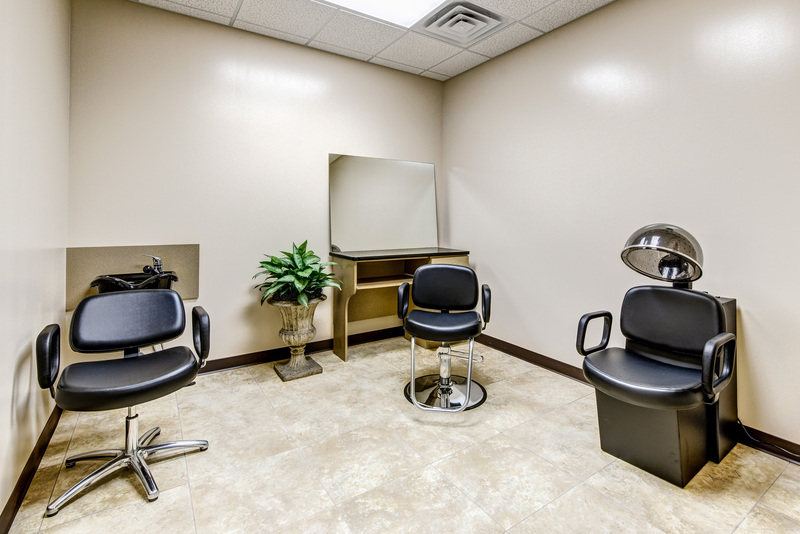 Suite leasing quickly evolved because it has the advantage of being able to completely control your environment in your own mini salon without all the headaches of salon ownership. You are not responsible for maintenance issues and repairs. 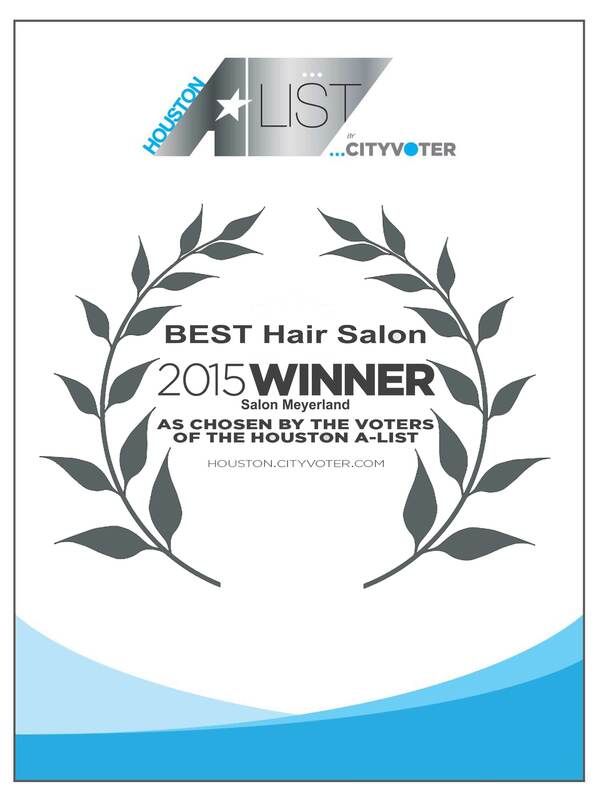 Your salon is personally yours….your décor, your music (or no music if that’s what you prefer), your hours. You have 24/7 access every day of the year. 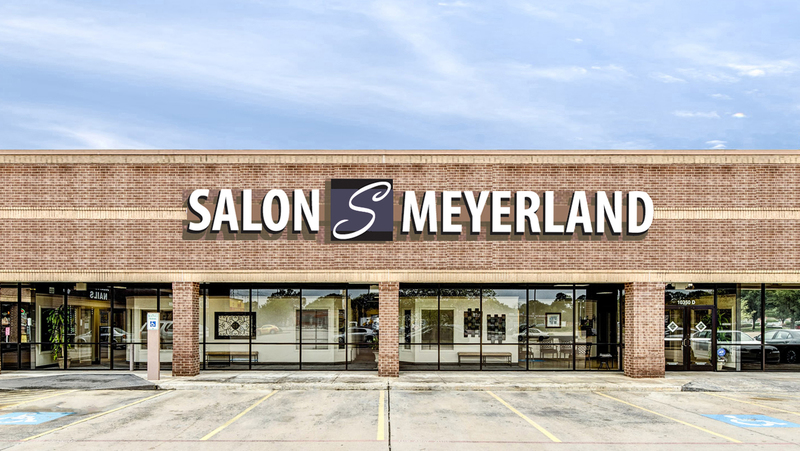 In addition, the owner of Salon Meyerland operates it and is available at all times. 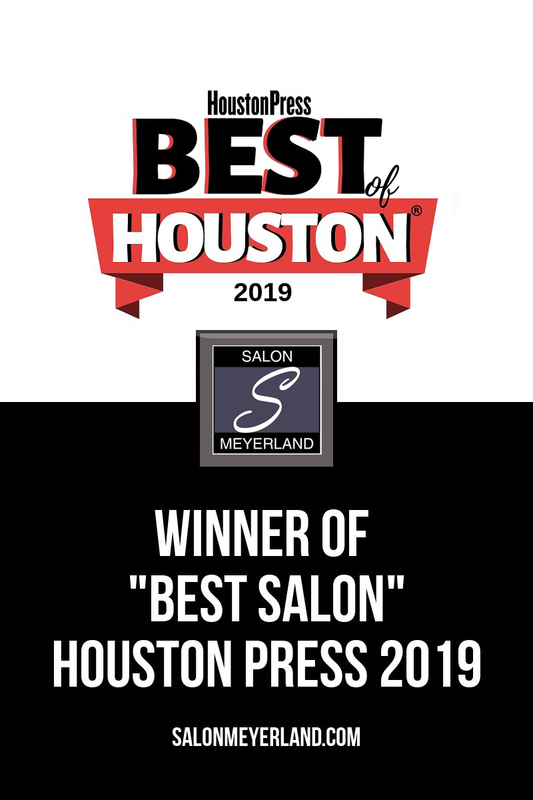 We are very hands on and are constantly striving to make Salon Meyerland even better than it already is! 3 x 4 mirror hung where you want. Manicurist, facial, and massage therapist equipment not provided. Large windows with mini blinds. Reliable 18 megabit secured WIFI for business. Abundant front parking with employee only in rear. Easy accessible location from major thoroughfares. Kroger, Whataburger, Taco Cabana, Subway, Fainmous BBQ, and Cato all share a parking lot with the salon. Meets all state board requirements. After Hours remote door access for clients. 24 Hour key card access. State of the art Air Conditioning with great hours for those early and late appointments. Remote controlled air that can be turned on in case of emergency appointments. Ample waiting areas. Extra wide hallways with benches outside your suite. Reliable, super fast 50 meg WIFI for you and your customers. Break Room - Tenants Only. On site Beauty and Barber Supply store. On site alternative health store. Part-time manager or as needed. Owner on call 24 hours a day for emergencies. Hallways monitored by surveillance cameras. Tenant parking monitored by surveillance cameras. Restrooms cleaned thru-out day and evening. Nightly janitorial service in common areas. Bonner, the owner, can be found onsite most days as he does owner operate the facility. Sell your own retail and keep profits. High traffic website promotes you. Regular Red Plum, Houston Chronicle, Houston Press and other magazine/newspaper ads that promote you. Social media advertising that promotes you. Contact Bonner for pricing and availability.